Facebook warning, TV at 3 Rivers and more! What's Happening On TV @ 3 Rivers? Is There A Way To Quickly Screen Websites? Halloween has its share of scary characters, as does the Internet. In this October issue, we start by reminding you of how scammers take advantage of natural disasters like Hurricane Irene to try and lure you to malicious links. Speaking of scary, check out the elevator video in our Two to View section; it's a claustrophobic's worst nightmare. This issue also includes advice on how to quickly screen websites (so you can avoid the disreputable ones) and highlights a few wonderful websites to inspire you for pumpkin carving, fall baking, family photography, and more. Newsworthy events, like the devastating Hurricane Irene in August, often trigger malicious links and phishing attacks that spread quickly across Facebook. The lure used by scammers is a promise of showing "leaked" videos, pictures, and other sensational information. The Hurricane Irene version looks something like the screen shot to the right. No video actually exists. The page displays a clickable image of a fake video player. Clicking "Share" displays the link on the Facebook user's wall. Clicking "See the video" displays a list of deals that require user registration. The scammers' goal is to drive more traffic towards certain sites. They earn their money by getting a commission for every survey completed, every product purchased, and/or every account compromised. They may also use these types of Facebook scams to spread malware and obtain personal information. Regardless of the disaster that's in the news, remember this: Whenever you're offered the chance to see a video or pictures that no one else has seen, don't be tempted to click. At the very least, these types of scams will place you in a cycle of worthless advertising promotions. In the worst-case scenario, you may unknowingly load nasty spyware and viruses on your computer. If you fall victim to a scam like this and the scammer's page appears on your Facebook wall, go directly to the page and click the "Unlike" link in the lower left-hand column. This will stop the scam from spreading via your wall. 3 Rivers has a new eNewsletter available, 3RTV News, that includes the latest information on our 3RTV video services plus a variety of television news, videos, behind the scenes info on your favorite shows and more! If you're interested in receiving this, please send an email to 3rt@3rivers.net with the words "TV eNewsletter" in the subject line and we'll put you on the list! You can always opt out at a later date if you so choose. Think you can jump rope? Think again. The Kings Firecrackers have jumped way beyond the basic moves and they show off their amazing jump rope abilities at halftime during a Navy versus Army men's basketball game. You'll see it all, including one athlete being used as the jump rope. This Month's FAQ – Is There A Way To Quickly Screen Websites? Question: I don't want to get scammed dealing with suspicious websites. Is there a way to quickly screen websites before I do business with them? Answer: Yes, there are a number of ways to do this type of screening. Both Internet Explorer and Firefox have features that monitor your browsing activity and alert you if a site seems suspicious. Review the help section within your browser to find out how to activate these features. There is also software available that serves the same purpose. Contact your Internet Service Provider for more details. When you navigate to a website, such as PayPal, be sure the URL shows the correct address (such as www.paypal.com), and not a variation (such as www.scammercentral.com/paypal). Move your mouse over links on the site or try clicking on them to see if they are active. Many phishing sites use links that don't work or that open to blank pages. If you are performing a financial transaction, look for "https" at the beginning of the URL (the "s" stands for "secure") and the locked padlock "secure browsing" symbol (usually located at the bottom left of your sceen). Be wary of pop-ups or requests for information the site should already have, such as your name, address, password, credit card number, or Social Security number. Remember, phishing is successful not because of advanced technology but because of unsuspecting Web users. When you're aware of what you're doing, you reduce your chances of landing on a phony site and becoming a phishing victim. marthastewart.com – Leave it to Martha Stewart to come up with so many amazing ideas for pumpkin carving and Halloween decorating. Check out the slide show of dozens of unique pumpkins—like pretty Leaf Carved Pumpkins, elegant Glitter Pumpkins, and scary Snake Pumpkins—or go right to the pumpkin carving patterns and templates. New to pumpkin carving? Visit the "How to Carve a Pumpkin" and "Pumpkin Carving Tools" sections. dearphotograph.com – This site, presented in blog format, allows viewers to upload photos of past snapshots (often from the film photography era) held against the original setting in the present day. They offer a fascinating juxtaposition between past and present, and the captions provide glimpses into how photographers remember the people and events in the photos. Browse through the images or upload some of your own! Got A Minute For A Timed Game? sporcle.com – Do you know the names of all 50 states? How many corporate logos can you recognize in six minutes? Can you type the numbers 1-100 in under a minute? Visit this site to test yourself with these and many other fun games. Topics include geography, history, language, sports, TV, and movies. Choose games by these categories or by most popular, newest, or favorites. Or challenge yourself with a random quiz. livingto100.com – If you're interested in living to a ripe old age, this site may be able to help. The Life Expectancy Calculator asks you 40 quick questions related to your health and family history and then estimates how old you will live to be. It also gives you detailed action items on what to do to live longer. Unlike many similar sites, you don't have to enter your email address to get the results. sunset.com – Fall is a great time to enjoy apples and you can make the most of them with the recipes here. How about Pumpkin Waffles with Apples and Apple Cider Syrup for breakfast? Toasted Turkey, Brie, and Apple Sandwiches for lunch? Or Spiced Apple Carrot Cake for dessert? View, print, or save the recipes, or use the social media links to share with friends. If your email address book is cluttered with names from inactive relationships or filled with out-of-date email addresses, you're wasting time wading through an unnecessarily long list. So it's worth taking a few minutes now to clear out the clutter. 1. With Thunderbird open, click your cursor arrow on the "Address Book" button located on the toolbar. 3. Click the "Delete" button located on the toolbar. If you are using Windows XP, the selected contact is now deleted. 4. If using other operating systems, a Confirm dialogue box will appear asking, "Are you sure you want to delete the selected contact?" Click the "OK" button. The selected contact is now deleted. 1. With Address Book open, click your cursor arrow on the "All Contacts" icon in the "Group" column. 3. Click on the "Edit" menu and select "Delete Card" from the drop-down menu. A dialog box will drop down asking, "Are you sure you want to delete the card for..." Click the "Delete" button and the contact is deleted. 1. 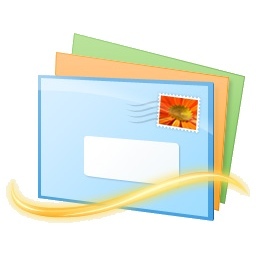 With Windows Live Mail open, click your cursor arrow on the "Contacts" button located in the left-hand column of the Windows Live Mail window. 3. Click on the "Delete" button located on the toolbar. 4. A Windows Live Mail dialogue box will appear asking the question, "Delete this contact?" Click the "Yes" button and the contact will be deleted.